Banh Mi, or Banh My is the ubiquitous Vietnamese sandwich sold early in the morning; casually being sold at roadside stalls in Vietnam. I have tasted both Hanoi’s and Ho Chi Minh’s version, and this humble (or rather … more to hearty) sandwich is but one of my absolute favourite snacks from the country. Imagine crunchy on the outside, warm and fluffy on the inside baguettes baked fresh daily, and sold almost immediately after they’re out from the oven. Then slice them open and stuff them to manic proportion with pork liver pate, Vietnamese sausages and slices of pork belly, fried sunny side up eggs, julienned pickled carrots and daikon, fresh coriander leaves/cilantro and dressed in a piquant Vietnamese chili sauce, mayonnaise and cheese at times. 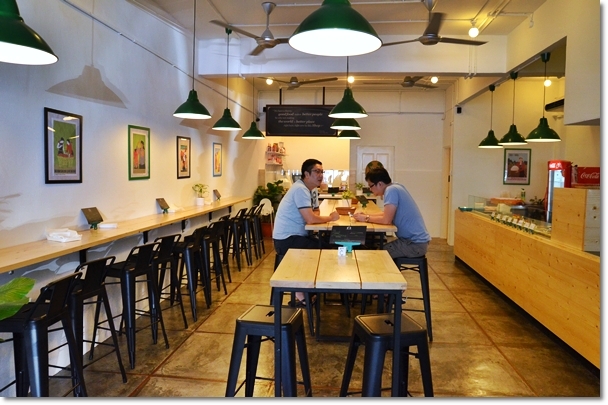 What used to be an endless craving now has its need met … in the form of an all day, sandwich bar in Damansara Utama/Uptown named O Banh Mi. 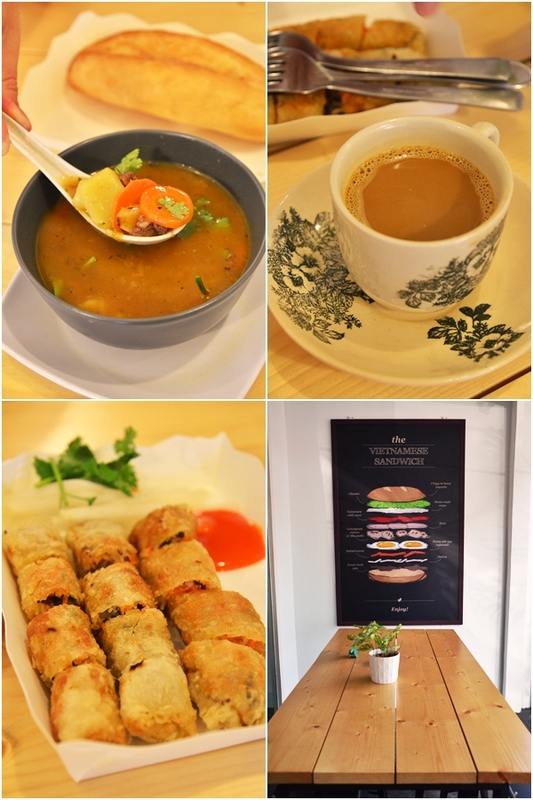 Long tables, high stools and a generally relaxed atmosphere made O Banh Mi appeared so accessible; for a simple breakfast, hearty lunch or early dinner. 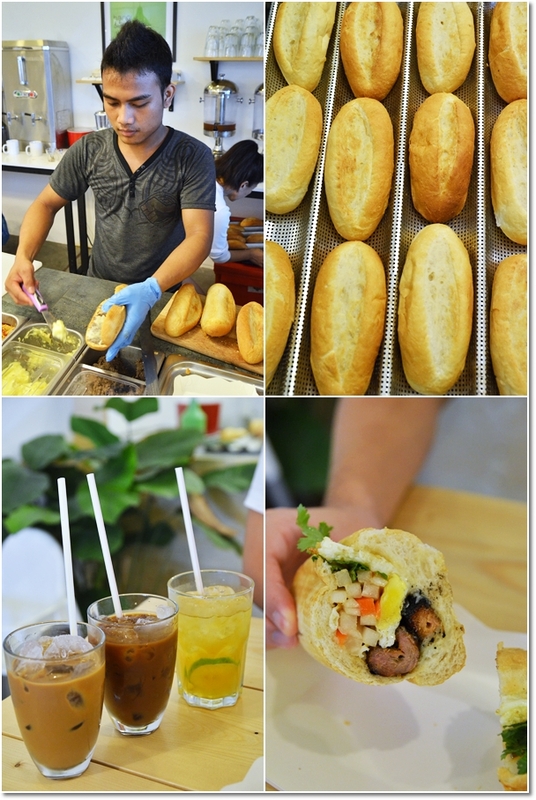 Started up by a few young Vietnamese souls (bless them for bringing this here), O Banh Mi was founded in June 2013 but slowly gaining grounds and packed during lunch hours on weekdays, apparently. We went there early on a Saturday morning (they open from 10am onwards) and slowly the crowd trickled in. I guess the average Malaysian must have had enough of Subway and O’Brien sandwiches, or over-rated French toasts and overpriced pastries. For an average of RM8.20 – RM11.20 per sandwich, the selection of Banh Mi here ain’t too extensive, yet not too shabby either. The O.M.G had twice the load of O Sunny, which is essentially an O School with sunny side up. O School is the most basic sandwich; with ham, pate and lemongrass chicken, and the pickled carrots, daikon and cilantro fix. Crumbling in your hands …. 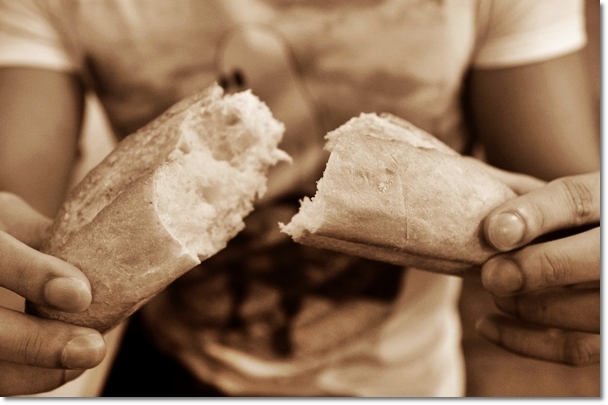 The ultimate lure of a good Banh Mi has to be the bread. The baguettes here are baked freshly everyday, and for a few times daily. This is to ensure continued freshness and crispiness of the loaves, and nobody wants to bite into a stale bread anyway. Someone hates cilantro, so this one is a carnivorous affair. It’s not common for Malaysians to include pork liver pate into their sandwiches, yet don’t fret. The people of O Banh Mi make their own pate, seasoned with herbs and spices to mask the potentially unpleasant, strong odour of the pate. Pair the combination of flavours with a sharp tinge from the cilantro and Vietnamese chili sauce, the taste of the Banh Mi here almost matches the ones sold on the streets of Saigon. Yet, nothing beats the charm of biting into one hot, crispy Banh Mi by the streets of Vietnam, paired with a most beautiful and robust Vietnamese drip coffee from a neighbouring stall. O Roll (RM7); the Vietnamese fried spring rolls with minced pork, mushroom, shredded carrots, mung bean noodles wrapped in extra crispy rice paper and deep fried. The Stew-O (RM9) served with a piece of baguette was a hearty and warm addition to the otherwise relatively ‘light’ menu, while the Vietnamese coffee was a disappointment. All in all, though that Hanoi breakfast experience is still unmatched to this day, I am sure O Banh Mi will still continue to drive the passion and love for all things Vietnamese that goes beyond the Pho. I was hooked at “Imagine crunchy on the outside, warm and fluffy on the inside..” and it just got better. YUM!! sounds amazing. Those sandwich looks really delicious. When I find my feet in Vietnam, definitely I will try that one. authentic banh mi was first introduced to Malaysia by a Vietnamese American not these guys. He opened his shop in Publika mall. He has two outlet in San Francisco, California where there is a big Vietnamese community. He also bake his own vietnam baguettes. 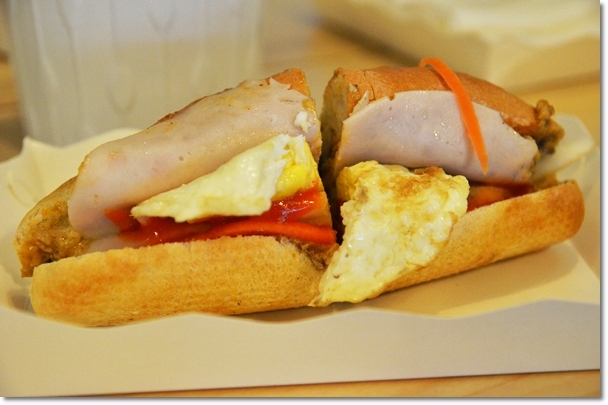 He does not serve pork, he wants all Malaysians can enjoy these lovely, and healthy baguettes. Let me introduce you all , a Good original Vietnamese Banh Mi at Puchong Puteri the Cafe located behind Columbia Asia hospital next few shop from 7 eleven . I had try is really good taste. Their coffee really unforgettable too. You should try…The outlet lady boss is Vietnamese very humble and nice. 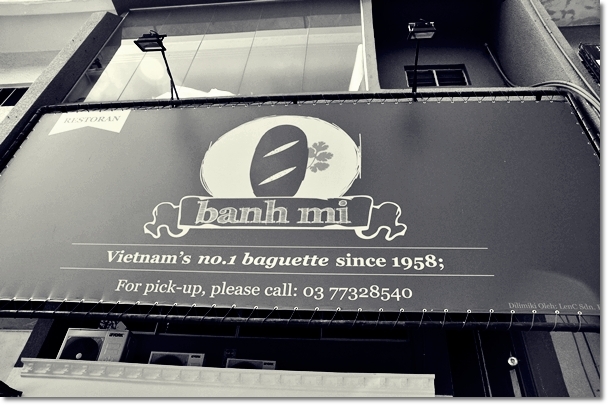 I guest that this the best i saw many Vietnamese customer take away so many over 25,40 Baguette in one go.. surprising me. The Cafe open 10.30 to 8pm only.